Plymothian Transit: Citybus for sale! 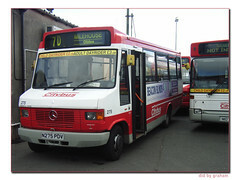 Former Plymouth Citybus 275 N275PDV is currently up for sale on Ebay. As I type this it is standing at £2700 - but you only have until 26th June to bid!